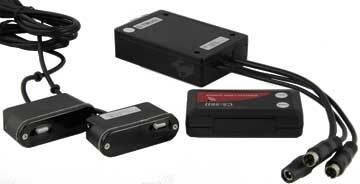 If you’re shopping around for a laser jamming system for your car or truck you maybe taken back their high prices. As an example an AntiLaser Priority can set you back $749. for a 2-head system and a Blinder HP-905 dual will set you back $599. Because of this you maybe tempted purchase a less expensive jammer you may find listed on an auction website or from another website selling cheaper jammers. But before you do I recommend that you watch this video to understand the risks. Well it comes down to this, research and firmware development. You see each time a new police laser gun comes out the laser jammer manufactures need to obtain one of these guns to identify the pulse rate and to make matters worse police laser gun manufactures have started to program what are called random pulse rate algorithms into their laser guns to defeat laser jammers. We recently obtained a new CS-56 Laser Diode wireless laser jammer which is manufactured in Korea, from one of our clients to test. The first step is the installation is mounting the two-laser jammer transceiver heads and leveling them. For this we used 3M double-sided tape, leveled the heads using a bubble leveler and ran the two cables through the grill and plugged them into the computer interface. Next we then attached the computer interface power cable to the battery. Then last we plugged in the wireless control module into the cigarette lighter. On top of the wireless controller are two buttons, a power button and a brightness button for the LED readout and inside the controller is a speaker that will beep when the jammer is activated. Even at its brightest level the sun washed out the red LED read out making it impossible to view and the audio alert volume was very low, making it impossible to hear if you have the radio on. We tested the ALF CS-56 laser jammer against the older laser guns in our arsenal using the LTI 20/20 the Kustom ProLite and the Laser Atlanta and in each of these tests the laser jammer indicated it activated, however we were able to lock on to the target vehicle at distances of 800 to 650 feet. As far as the more complex laser guns such as the DragonEye the CS-56 did not alert to the gun at all and there was no jamming. The test of the ALF-56 laser jammer reinforces the old adage “you get what you pay for” as it would be totally ineffective in providing you the protection you would need to protect you during a laser ambush here in the US. would it be posible for engine heat to destroy the product if it is mounted under the hood?